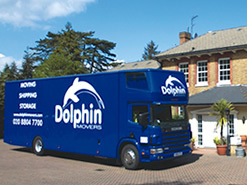 Although times have changed since Dolphin Movers was established in 1991, our mission has remained the same - to provide a professional portfolio of shipping & storage services that are reliable, cost effective and responsive to the demands of individuals and corporates in an industry that is rapidly evolving. We are situated conveniently in North London by the M25 and only 20 minutes away from Central London, where we are able to provide office removals. Our facility comprises 88,000 sq ft of general warehousing, 20,000 sq ft of high bay pallet storage space and 2,000 pallet locations. Our purpose-built warehouse is fully alarmed and monitored by CCTV 24 hours a day, seven days a week. We are also proud to mention that we have our own modern fleet of twenty seven vehicles, each fully maintained and fitted with real-time satellite tracking. We offer a comprehensive range of services that include domestic and international removals, car shipping, corporate moves, freight forwarding, storage, including self-storage and fine art shipping. Dolphin Movers is privileged to count among its customers, the prestigious London Symphony Orchestra, interior designers Victoria Fairfax, Oxford House College, British American Tobacco, Rothschild, Jaguar Land Rover and Procter and Gamble. Such noteworthy clients are testament to our excellent customer service and industry knowledge which we maintain through staff training programmes, implementing the latest industry techniques, taking heed of customer feedback and conducting periodic self-reflective analyses. Our workforce is experienced, enthusiastic and supportive and they work alongside a global network of three hundred trusted partners and agents in over one hundred countries. Dolphin Movers are members of the British Association of Removers (BAR) and as an adherent to the BAR Code of Practice, which is monitored by The Trading Standards Institiute. Our warehouse is a HM Revenue and Customs Approved depository. Dolphin Movers is regulated by the Financial Conduct Authority (FCA), a financial regulatory body in the UK operating independently of the UK government and is financed by the financial services industry. Our promise is to strive to understand and serve the distinct needs of each customer in an adept, courteous and cost-effective manner. Through provision of decades of removals services, international moving company, for domestic and business clients in the UK, Europe and Worldwide, we have the expertise in delivering a high quality home moving service to mainland Europe and beyond including Bulgaria, Cyprus South, Cyprus North (TRNC), Greece Islands, Greece Mainland, Hungary, Israel, Romania, Slovakia and Turkey. However we are an international moving company with a truly global reach and can accommodate requests for shipping to the USA, Canada, South Africa, UAE, Qatar, India, Hong Kong, Malaysia, Thailand, Australia and New Zealand. We cater for individuals moving house and for office removals of all kinds, including archive and commercial storage, employee relocation and trade logistics. As well as complete households and offices, we also undertake excess baggage shipping by road, sea or air. 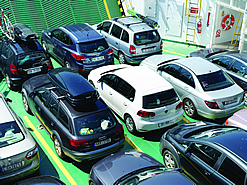 And we also provide a specialist car shipping service, either for individuals wanting import or export their vehicle, or to trade customers requiring international car shipping. Call us on 0800 032 9777 or use one of our Quick Quote forms for home moving service or business removals. moving companies, moving company, removal company, moving quotes, international relocation services, removals company, house movers, moving company, moving companies, best moving companies, home moving companies, international house removals, moving firms, removal firm London, removals firms london, office removals, international removals, international movers, overseas removals, international removals, overseas removal, international removal, overseas removal, international moving, worldwide movers, overseas movers, business moving, household moving, home moving, residential movers, commercial movers, residential movers, corportate relocation, relocation services, relocation companies, household moving company, commercial moving company, commercial movers, moving firms, moving firm, relocation company, office moving companies, move company, corporate moving services, home moving company, moving company quote, home moving companies, international moving company, international moving services, international moving companies, international mover, overseas moving companies, removal companies, removals companies.